Fifty years ago, President Lyndon Johnson declared "War on Poverty." It sounded great to me. I was taught at Princeton, "We're a rich country. All we have to do is tax the rich, and then use that money to create programs that will lift the poor out of poverty." Government created job-training programs for the strong and expanded social security for the weak. It seemed to work. The poverty rate dropped from 17 percent to 12 percent in the programs' first decade. Unfortunately, few people noticed that during the half-decade before the "War," the rate dropped from 22 percent to 17 percent. Without big government, Americans were already lifting themselves out of poverty! Johnson's War brought further progress, but progress then stopped. It stopped because government is not good at making a distinction between needy and lazy. It taught moms not to marry the father of their kids because that would reduce their welfare benefits. Welfare invited people to be dependent. Some people started to say, "Entry-level jobs are for suckers." Many could live almost as well without the hassle of work. Despite spending an astonishing $22 trillion dollars, despite 92 different government welfare programs, poverty stopped declining. Government's answer? Spend more! 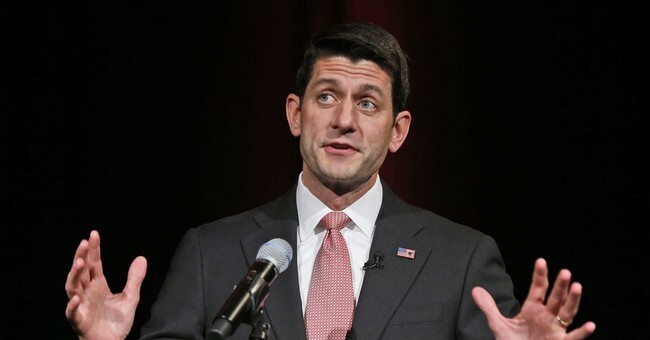 Rep. Paul Ryan (R-Wis.), chairman of the House Budget Committee, points out that government measures "success" by the growth of programs: "based on inputs, how much money are we spending, how many programs are we creating, how many people are we putting on these programs -- not on outcomes -- how many people are we getting out of poverty? ... Many of these programs end up disincentivizing work -- telling people it pays not to go to work because you'll lose more in benefits than you gain in earning wages." That doesn't mean the poor are lazy. It means they respond to incentives. They are rational about choosing behaviors that, at least in the short term, pay off. It's not only welfare that makes it harder for the poor to climb the ladder of success. Well-intended laws, such as a minimum wage, hurt, too. But most people don't understand that. Even Republicans, according to opinion polls, support a higher minimum wage. A minimum sounds compassionate. It's hard to live on $7.25 an hour. But setting a minimum is anything but compassionate because that eliminates starter jobs. The minimum wage is why kids don't work as apprentices anymore, nor clean your windshield at gas stations. They never get hired because employers reason, "If I must pay $9, I'm not taking a chance on a beginner." On my TV show this week, Rep. Jim McDermott (D-Wash.) says that people like Paul Ryan and I "just want to cut the size of government. And trust the private sector to do everything." Well ... yes. The private sector does just about everything better. McDermott says, "This whole business about somehow raising the minimum wage causes a loss of jobs -- if that's true, why don't we just drop the minimum wage altogether and let people work for a dollar a day or $1 an hour?" OK, let's do it! It's not as if wages are set by the minimum wage. That is a great conceit of the central planners: thinking that only government prevents employers from paying workers nearly nothing. But the reason Americans don't work for $1 an hour is competition, not government minimums. Competition is what forces companies to pay workers more. It doesn't much matter that the law says they can pay as low as $7.25. Only 4 percent of American workers now make that little. Ninety-five percent make more. The free market will sort this out, if politicians would just let it. Left free, the market will provide the greatest benefit to workers, employers and consumers, while allowing charity as well.